Please watch the video at the bottom of this newsletter that highlights our I love to Read... Write...Draw celebration. Parents please also read over the details for the Family Celebration of Learning event. Thank you families for your partnership. Elmdale is introducing our new eNewsletter. This eNewsletter is now our main means of communication with our Elmdale families. We will no longer send home the one page paper newsletter that has been previously used. With this enhanced medium of communication, we are able to design with our students interactive videos, pictures and direct links for communication with you. Each month we will email a link to all our parents where you can access this new eNewsletter. 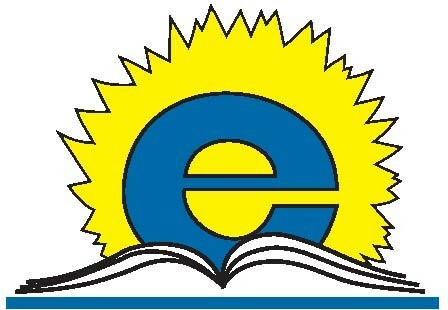 We will continue to have additional information on our website www.elmdale.hsd.ca where you will also be able to access archived eNewsletters. Please feel free to provide feedback at the bottom of this eNewsletter. Kate Penner interviews her teacher to find out more information about the exciting new math draw that her class is participating in. Mrs. Watchorn spent two weeks with our students. 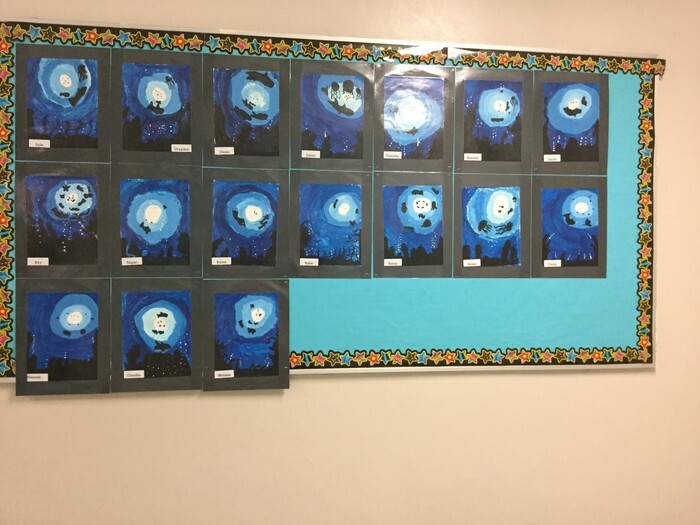 She worked with our Kindergarten to Grade Four students, teaching them various painting skills. 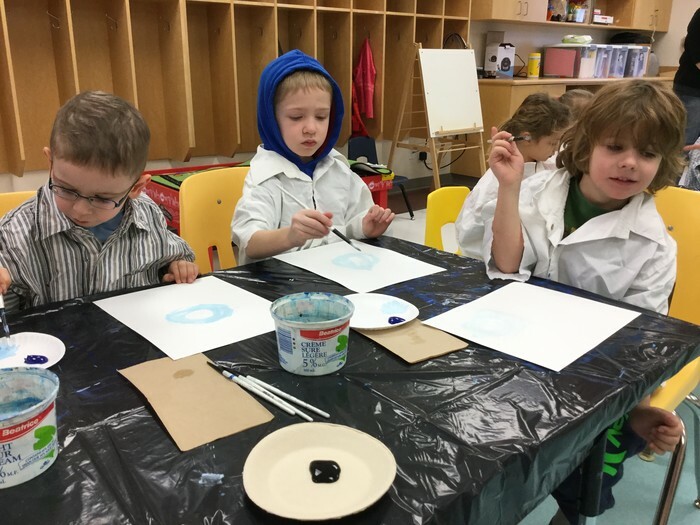 Please phone Elmdale School at 204-326-3325 to register your child in Kindergarten for the next school year. This is for children born Dec 31, 2011 or earlier. Please inform friends and neighbours who have children who may be starting school. Visit www.hsd.ca for catchment area maps. 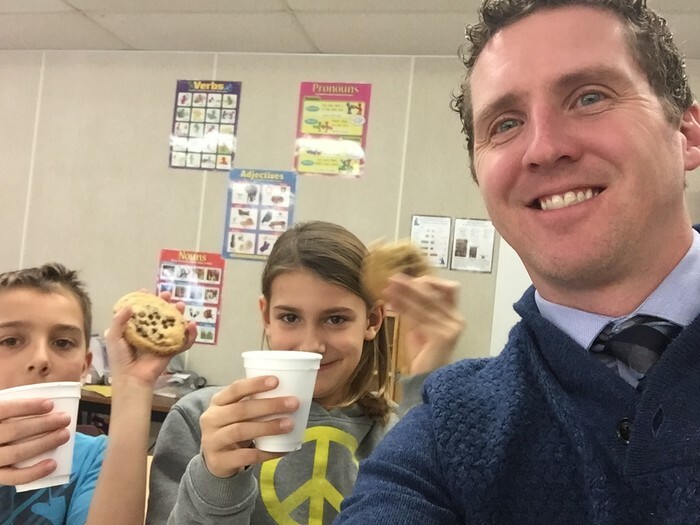 The Cookies and Cocoa celebration with Mr. Campbell was a hit! Thank you to all the students who participated in this year's reading program over the Christmas break. BIG thank you to Adele's Pies and Cakes for donating over 100 cookies for our students! Thank you to Mrs. Reimer and Mrs. Thiessen for organizing this event! What is a PrinciPal Award? A PrinciPal award is a long standing tradition here at Elmdale School. The award provides students with a little extra incentive to build on their positive behaviour at school. Grade 1&2 students enjoy popcorn and juice with Mr. Campbell, while the grade 3&4 students walk to A&W for a rootbeer drink. Congratulations to this month's winners! Below is a short interview with one of the lucky winners. In the Classrooms: Meet your child in their classroom where they can read their published books. 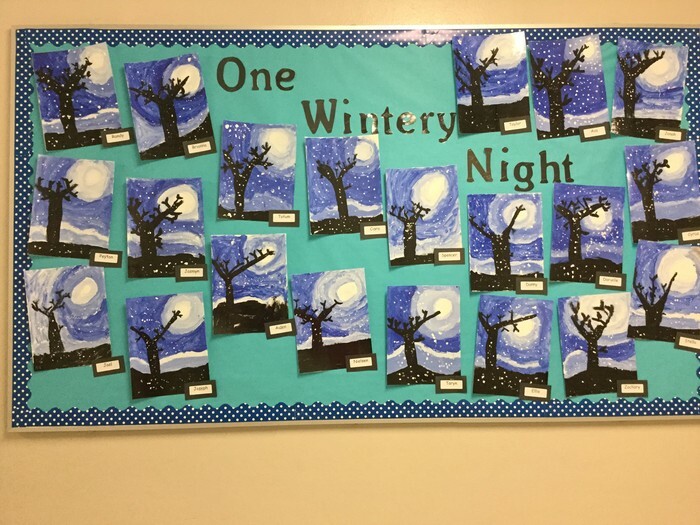 In the Hallway: Take a gallery walk and view the students' acrylic paintings created with guest artist Colleen Watchorn. In the Library: Take your child to browse and buy books at the Book Fair. For every $10 purchased $6 is given back to Elmdale to buy more Library books for our children to read. During the month of February our hope is that each family will find time to build home reading into each and every day. This month students will bring home a bingo sheet to record all the different places that they can read in their house. Each class will adjust their bingo sheet to meet the needs of their students. In addition, families are encouraged to send in a picture of their child reading in different places in their house. One picture per student will be used in our school music video celebrating I Love to Read Month. The video will be played during our Celebration of Learning event. Please see link below to upload your pictures. Also, please see attached letter explaining this process with more details. We look forward to seeing everyone's pictures. Parents, we are asking for your support with reviewing some snow hill safety. We have reminded our students to not play on snow hills and especially snow banks located beside any roads. We understand that these hills are fun places to slide down but we continue to receive reports of students sliding down snow hills beside their bus stop very close to traffic. Thank you in advance for having this conversation with your children.